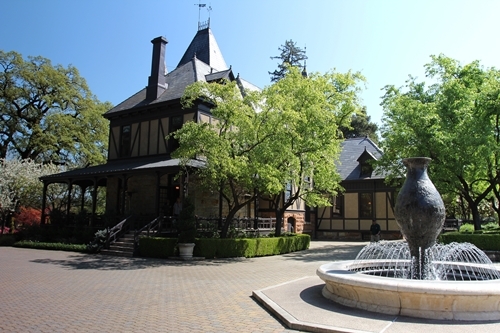 Beringer is one of Napa’s historical estates. It is located in the northern end of the valley, near the perhaps oldest winery here, Charles Krug. Their iconic property provides a rare glimpse into the past, and their Rhine House is among the most quaint and beautiful landmarks in Northern California. 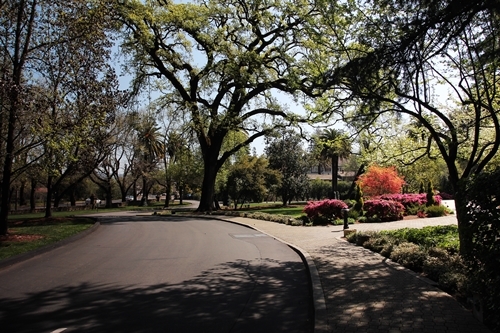 The property is positioned just north of the small town St Helena, and it is surrounded by picturesque gardens, which you encounter from their stunning driveway. The Rhine House mansion was constructed in 1884. The 17-room mansion was designed by architect Albert Schroepfer for Frederick Beringer to mimic the Beringer family’s extraordinary home at Mainz-on-the-Rhine in Germany. It was designated a Historic District on the National Register of Historic Places in 1972. 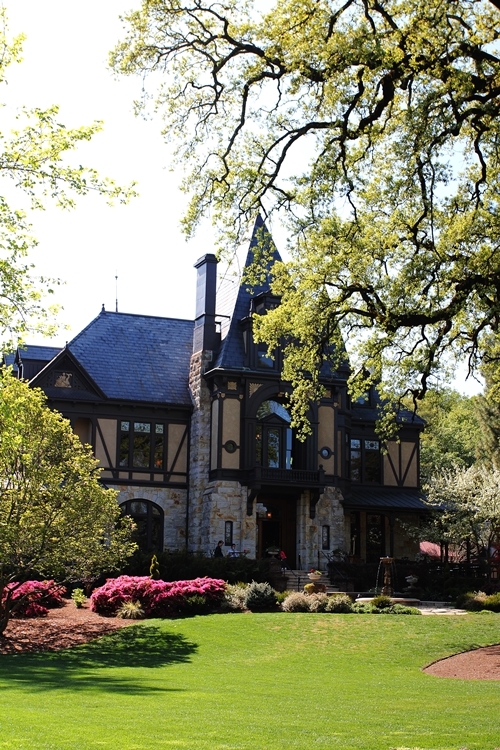 The Victorian styled Rhine House was originally designed as the residence for Frederick Beringer and his family. Today the stunning property serves reserve tasting functions, giving visitors the opportunity to experience the winery from the original owner’s perspective. 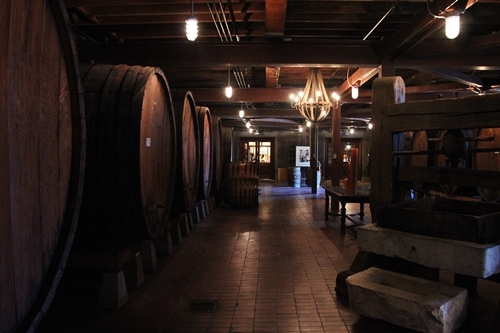 Beringer is the longest continuously operating winery in Napa, and their historical significance for the wine region is felt in the old winery and its caves/tunnels. 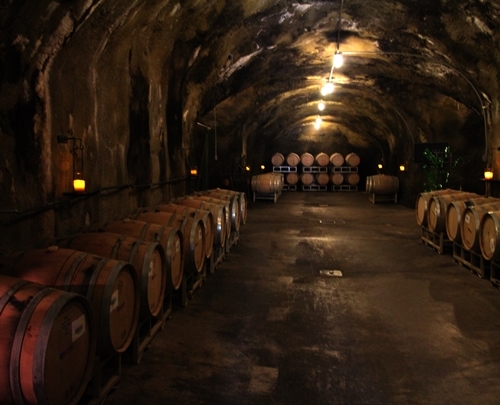 The old winery and caves now function as a museum. It was though surprisingly modern in its day, taking use of gravity flow. 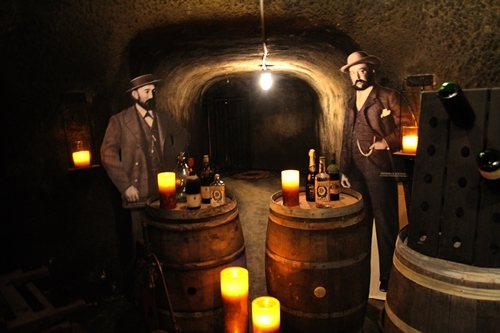 The tunnels were dug into the hillside of Spring Mountain from the late 1870s to the early 1880s. The demanding work was done by Chinese immigrants, who hand-chiselled the 1,200 feet (365m) long tunnels. 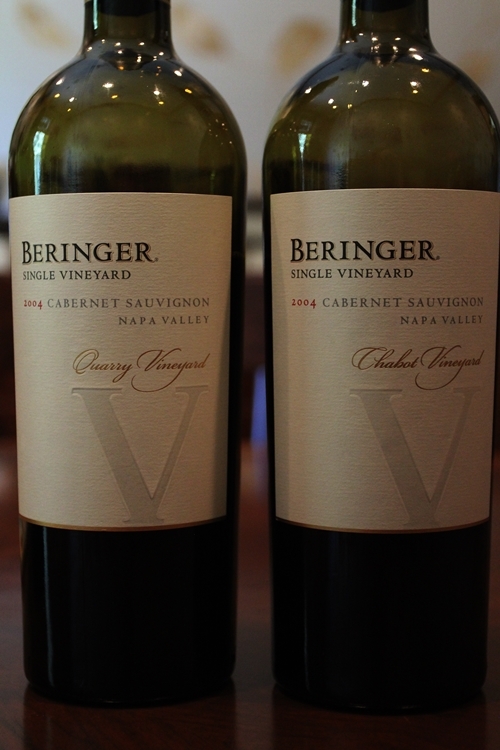 Here the two Beringer brothers, who originally founded the winery in the 1870s. The estate remained in the family for nearly a century. 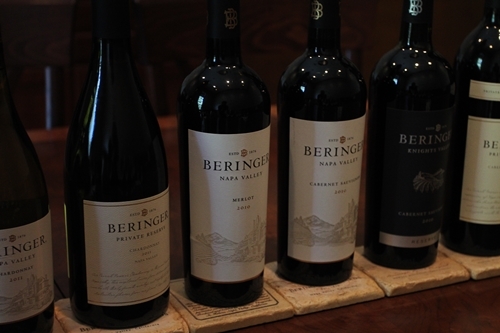 Beringer is now owned by Foster’s. 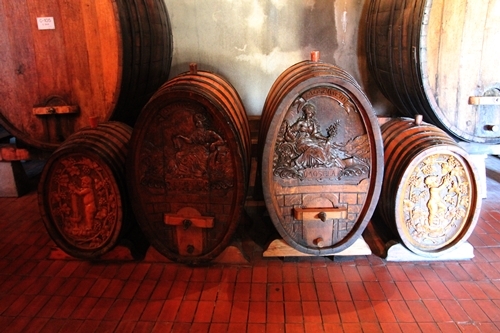 Beautifully carved wine barrels from the early 20th century. The fountain and gardens neighbour the Rhine House. 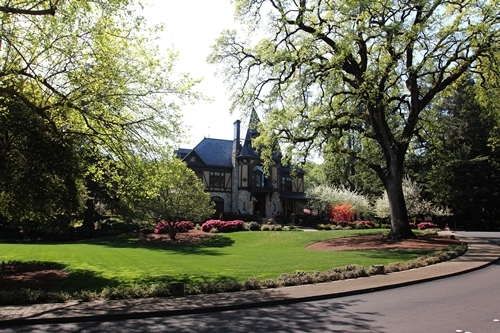 The restoration of the Rhine House was the centrepiece of Beringer’s master plan to preserve the historic winery site and enhance the visitor experience. 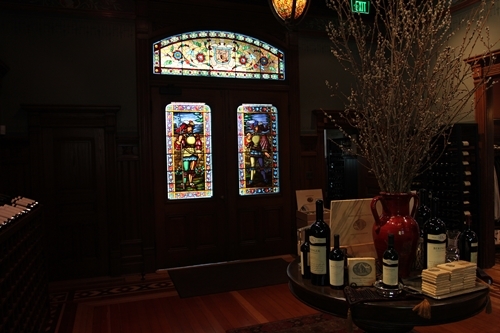 The Rhine House has many remarkable details, as the exterior stonework, the unique stained-glass windows and the interior wood panelling. The renovation moreover revealed decorative stencil work, and it has required extraordinary skilled workers to restore the fine, detailed craftsmanship. 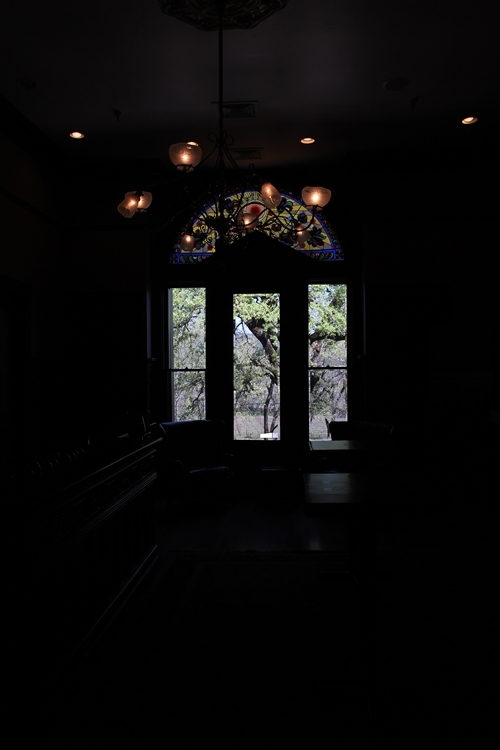 The 44 stained glass windows were refurbished, and the inlaid wood flooring restored. 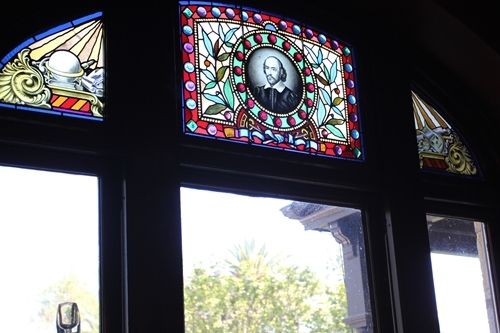 Here one of the stained-glass windows that have been fitted with decorative stencils to match the original use of the room. 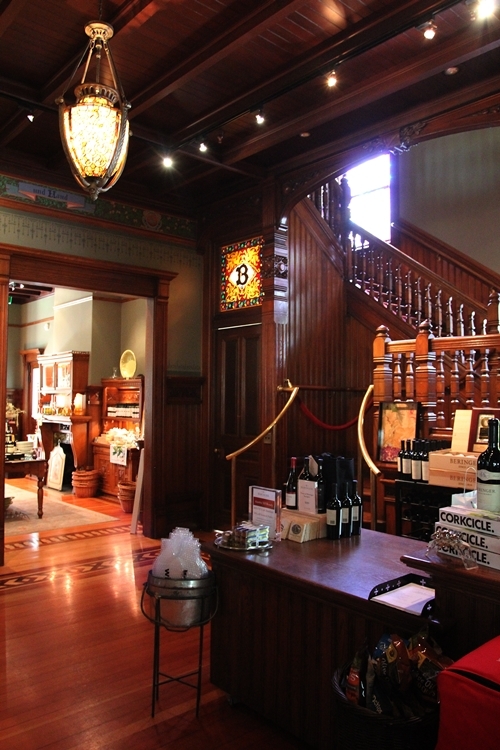 The foyer with its beautiful staircase that takes you to the private tasting rooms. Our tasting was held in the north-facing room. We sampled a selection of wines from their different ranges and releases. 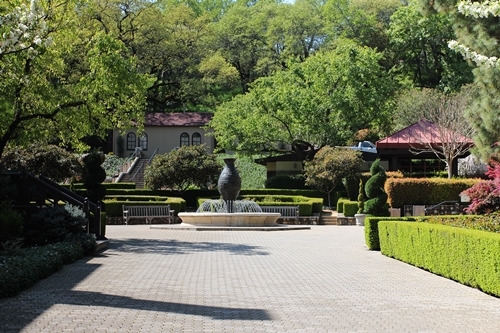 Beringer has today many hectares of vineyards spread across both Napa Valley and Knight’s Valley. The portfolio is for the same reason quite diverse. Cabernet Sauvignon is the most important varietal in Napa Valley, and it is also the most represented variety in their portfolio. 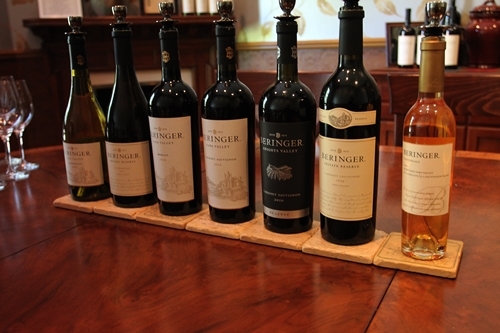 The tasting mainly focused on their different Cabernets from their vineyards in Napa and Knight’s Valley. As well as Chardonnay, Merlot and the botrytised Semillon/Sauvignon. 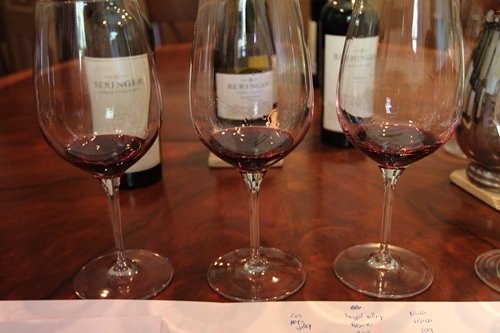 Tasting the Cabernet releases up against each other, one gets a deeper understanding of the different terroirs in both Napa, and Knight’s Valley (part of Sonoma, located just north of Calistoga and south-east of Alexander Valley). 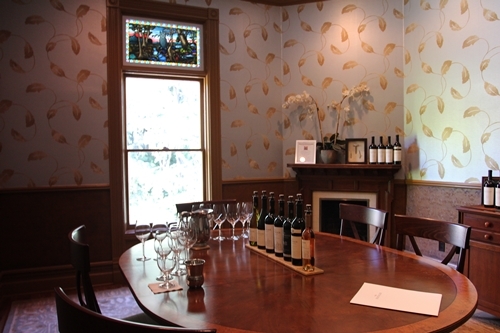 There have only been 7 Chief Winemakers in the winery’s history. Ed Sbragia was the 6th in the row. He started as assisting winemaker for Myron Nightingale in 1976, and together they created the two Private Reserve wines, which quickly gained international acclaim. The Private Reserve range emerged, when Ed Sbragia and viticulturist Bob Steinhauer started identifying and blending the most expressive parcels of vines in 78′. 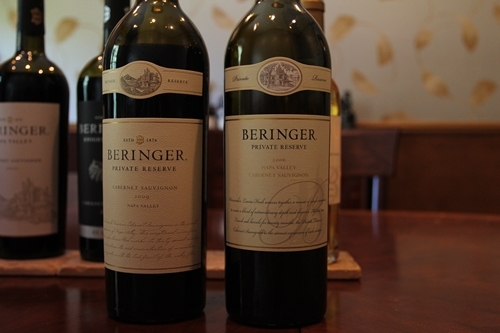 This eventually led to creating not only the Private Reserve wines, hence several of the vineyards have been released as single vineyard Cabernets. The Private Reserve Chardonnay is a single vineyard wine made from the Gamble Ranch Vineyard in Oakville. The two single vineyard Cabs captured here; 2004 Chabot Vineyard (from St Helena) and 2004 Quarry Vineyard (from Rutherford), are chosen to showcase how different the terroirs can be, even from neighbouring AVAs (American Viticultural Area). In the same vintage, the Chabot Cabernet has a clean minty fresh finish, where the Quarry Cab has much more spice and pepper in its palate. Laurie Hook gained the title as Chief Winemaker in 2000, after working alongside Ed for more than two decades. Ed was then named Winemaker Emeritus, and is still involved today. The Private Reserve Cabernet can be quite different from year to year. This is due to both the climatic differences and the blend. In the beginning only fruit from what was later called the Chabot vineyard was used. Now it includes individually aged Cabernet Sauvignon from eight very different vineyards in Napa (4 vineyards on Howell Mt, 2 in St Helena, 1 on Spring Mountain, and 1 on Mt Veeder). 2006 and 2009 are both extraordinary vintages, of 97% Cab Sauv and 3% Cab Franc. The 2009 was moreover surprisingly complex for its young age. An exceptional wine.